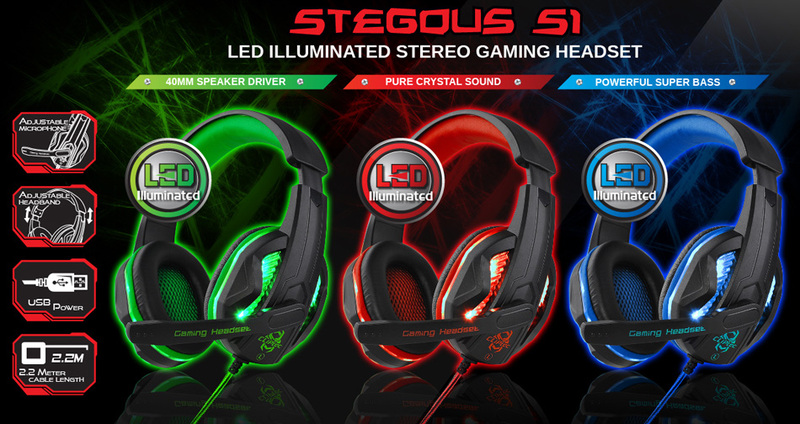 CLiPtec BGH661 LED Illuminated Stereo Gaming Headset - Stegous S1 is the perfect over-head stereo gaming headset for the elite e-sports player or any gamer seeking a pro-audio gaming experience. With full-sized 40mm premium speakers bring out every detail in the game so you can react quickly, powerful bass for completely undivided in-game focus. Its reinforced structural housing provides the frameworks for a super comfortable build, with ergonomic headband and ear cushions. 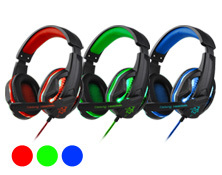 Prefect for gaming, music playback and movie. In addition, glaring LED illuminated breathing light highlights the atmosphere of the game and reaches to an enjoyment climax. High precision 40mm magnetic neodymium driver, bring you vivid sound field, sound clarity, sound shock feeling, capable of various games. Omi-direction flexible microphone for exact positioning, and microphone with great sensitivity at picking up sounds, your partner. Adjust the volume in a second. 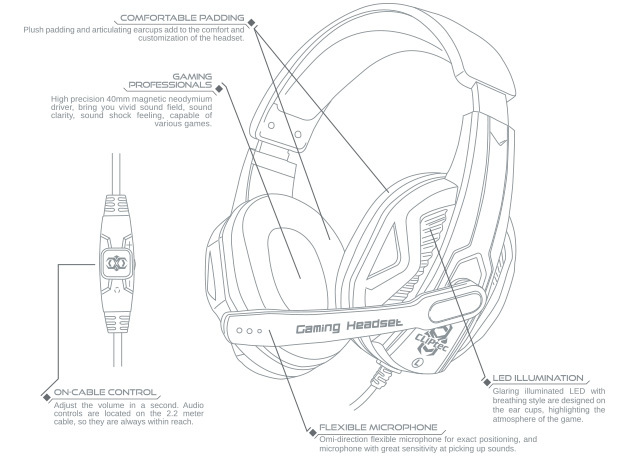 Audio controls are located on the 2.2 meter cable, so they are always within reach. 2.2M braided wire, durable tensile effectively reduce the external resistance. Plush padding and articulating earcups add to the comfort and customization of the haedset. Stereo Gold-plated 3.5 mm audio jack for premium and no-loss sound connect to your audio device.